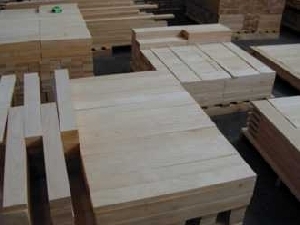 Because of very favorable marine transportation rates, dimension plants around the world now source their lumber globally. 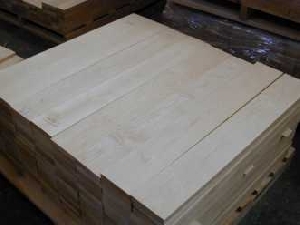 Lumber from Europe and North America are often shipped to Asia to be remanufactured then reshipped to Japan, Europe, or North America. To insure our customers receive the dimension or panel products they need, we visit the dimension plants wherever they are located to inspect the processing of our orders. We carefully scrutinize the equipment, the workers, and the raw materials they are using, as well as the finished product. 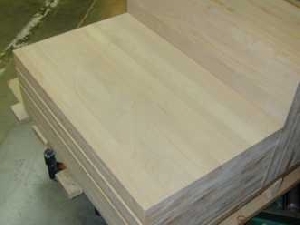 North American Wood Products can provide quality rough dimension, edge glued panels, or fully machined parts made from most North American species. Fax or e-mail us your specific requirements (in either metric or imperial sizes) and we will quote you delivered prices anywhere in the world.